This next novel is about genetic testing, questioning nature and nurture. Which one rules?It's always an interesting thing to think and talk about. 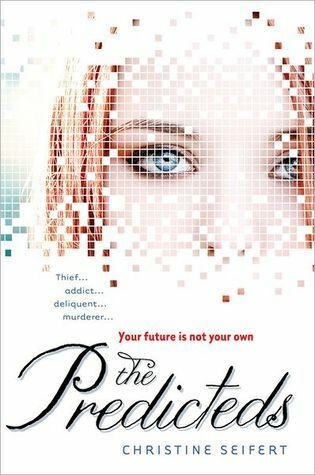 So, without any more delay, here's The Predicteds by Christine Seifert. Kind of predictable, but a very interesting look at the nature/nurture debate. Can you truly predict who is dangerous and who isn't? What are the repercussions of this, and what if it's not correct? Where does your personality lie? Is it embedded in your DNA, or did it develop thanks to how you were raised? In Conclusion: It's an interesting look at the nature/nurture debate, so go for it if you're really into that debacle, or have debated about it before. It is very interesting nonetheless! You are right it is a predictable book but interesting anyway.